This past weekend, Mike and I raced for the first time in a long time! This was my second race of the year and Mike's first, so it was about time for us to join the masses and have a fun time! When we drove back from our Ironman in August, we stopped at Melt Bar and Grilled (yum) in Mentor, Ohio. Our waiter was talking to us about running and he mentioned the Burning River 100. I must have looked up that race and saw the Western Reserve Racing website. 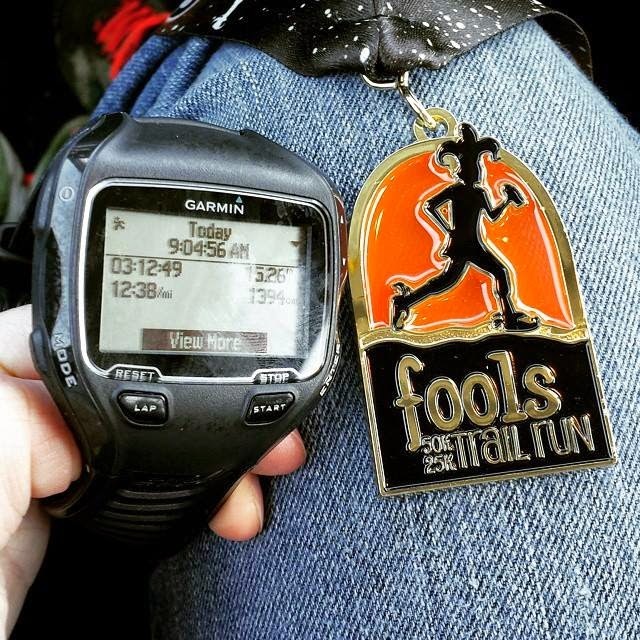 That's how I found the Fools Run 25K/50K. I thought it would be a great mid-training race and Mike and I registered for the 25K. Our friend, Greg, was registered too but unfortunately he didn't make it to the race because he was sick. Saturday we drove the 4ish hours to packet pick-up and then drove to the race start. 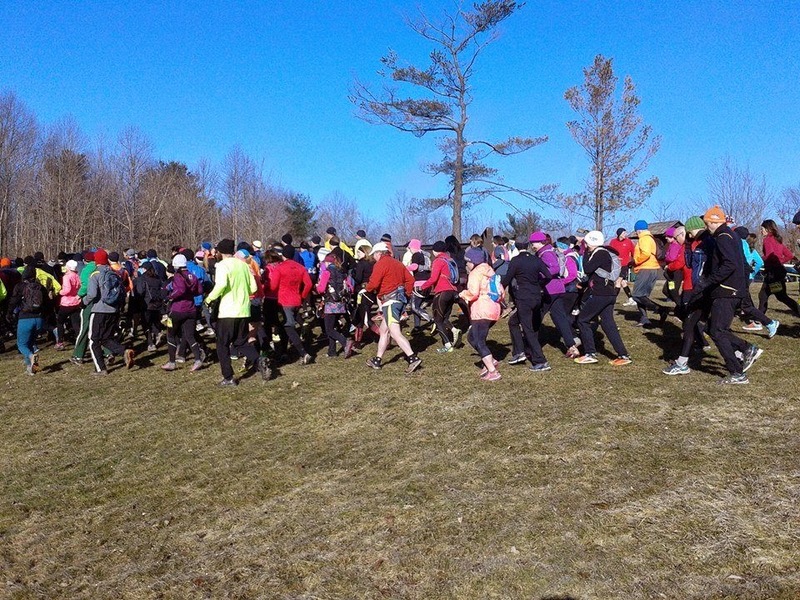 Since it is a trail race, driving the course was not an option. We did check out some of the trails and I was happy that there wasn't any snow in sight! The race started at 9am on Sunday, which meant that we didn't have to wake up too early. We got to the race start right as the 50K runners were taking off a little past 8am. After sitting in the car for a little while, we made our way to the port-a-potties before waiting for the start of our race. After a brief pre-race briefing (basically telling us to be careful on the ice), we started right after 9am. I knew that I was going to take it easier since I was using this as a training run, and I am more cautious on the trails anyway. 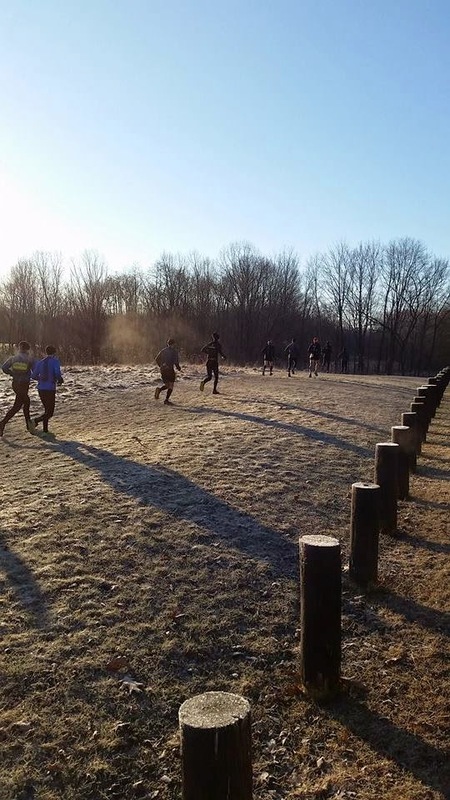 The race is a giant 25K loop (that you do twice for the 50K) that meanders through the Cuyahoga Valley National Park specifically the Virginia Kendall Park. 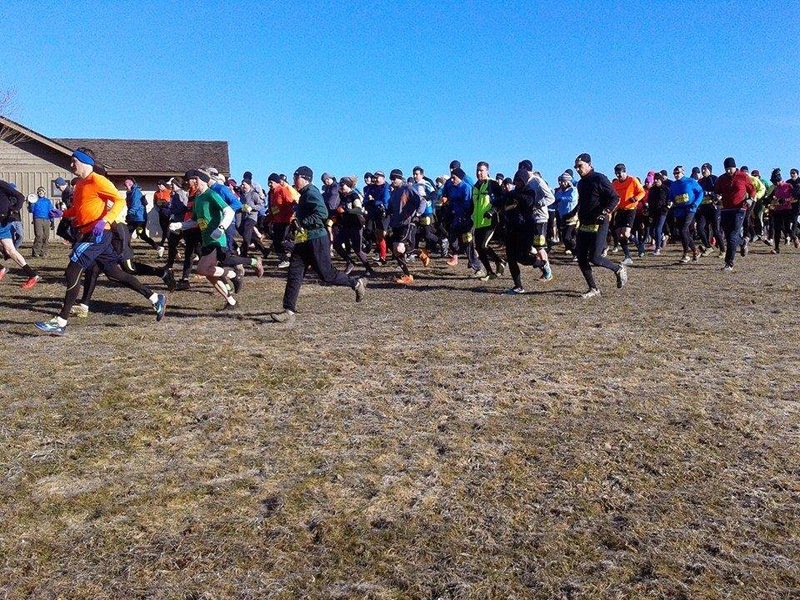 The start of the race goes on the Cross Country trails and these were nice and wide with some rolling hills throughout. I made my way around some people and then settled in. At the start of the race, Mike and I thought we recognized this girl from the 100 Mile Tri that we did last year (and that we have volunteered at) and when I caught up to her I asked if she had done the 100 Mile Tri. She said she had and I said that she was pretty easy to spot (she is tall with short hair and has some pretty amazing tattoos). We chatted for a little while and then this other lady started talking to me since she heard that I was from New York. I told her that this wasn't the furthest we were traveling for a race and that we'd be going to Alaska for a race (and to see Crystal and Joe!) It was nice talking with people but then I started to focus on what I was doing and my footing. Luckily, other than the fact that the mud was frozen with footprints, this portion wasn't too bad. I skipped the first aid station at mile 2.5, Mike and I wore our handhelds since the race requested people to do so to cut down on paper waste, and then started the next portion of the race. This part of the race had a few road crossings, which luckily I never had to deal with any cars and one crossing had a police officer there to deal with traffic. This was also part of the race where there was two way traffic, but the trails were wide enough that this wasn't a problem. 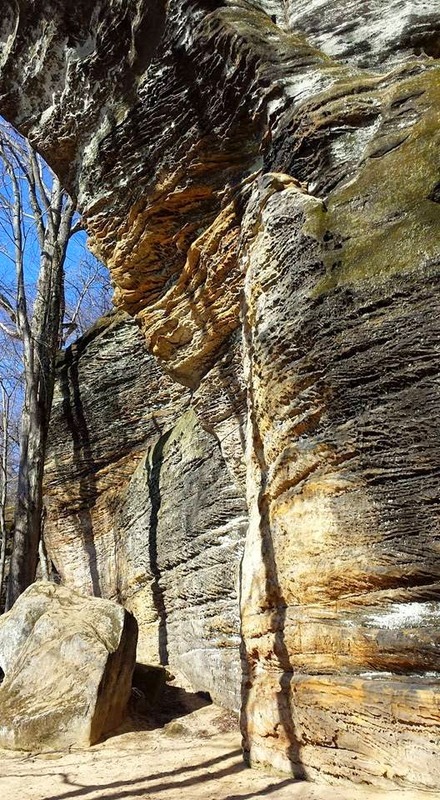 When we made our way into the first part of the Ledges Trail, this was when I had to start to take things slower. Right before a bridge, a guy in front of me and some other runners yelled, "SLOW DOWN". This part in the woods didn't have any sun and the ice was slick and almost the entire width of the trail. Mike told me later that he fell at this part of the race since he didn't slow down enough while making the turn. 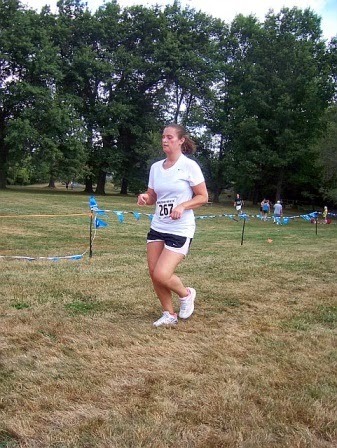 Some runners were falling during this part of the race, but I took it slow and walked when I needed to. This part was also really rocky so it was almost impossible to run anyway. It was really pretty in there, though, and I wish I had a camera with me! After making it out of that part of the Ledges Trail, we made our way along a grassy portion and then ran through the smallest tunnel that I have ever run through. Mike told me that he almost didn't fit! This led to the second aid station and I grabbed some Heed and one pretzel (ha). I was taking energy chews every three miles and had my water with me so I didn't need anything else. After stopping briefly, I was on my way to the next part of the race: Boston Run Trail. 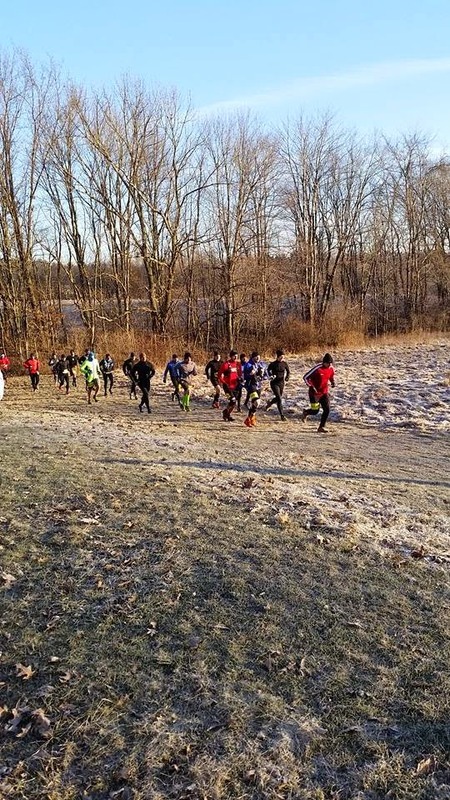 Luckily, there wasn't any more ice to deal with for the majority of the rest of the race. There was, however, a lot of stairs. And when I say a lot, I mean A LOT. We had already run up/down some of them and there were more throughout the rest of the race. Someone told me to wait until we got to Salt Run and I knew that I would be in trouble then! Boston Run went through the woods and did a little loop, where you could see people making their way out of the trail before you went in. I looked for Mike, but didn't see him. 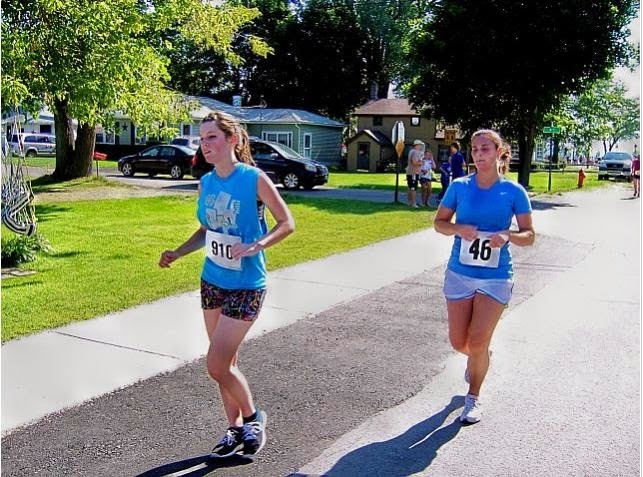 Another runner fell during this part of the race, but she had other people with her and I continued on. The culmination of Boston Run Trail brought us back to the aid station, where I grabbed some more Heed, and then we went through the second part of the Ledges Trail. I actually almost got lost at this point, but a woman told me to take a right. Luckily she was near me and another runner or we would have gone the wrong way! This portion of the race, Mike and I had walked part of the day before (though we didn't think that it was actually on the race course, ha). This was another trail with rocky terrain so it was slow going. We finally made it back to the two way traffic portion of the race (only very briefly) and then ducked into the Pine Grove Trail. This trail was also really pretty and I was able to run the majority of it without walking. At one point some other runners that I passed asked me how many miles I had, and I told them 10.6 miles. I went through the road crossings again and this time stopped at the final aid station for some more Heed. I went straight through another bridge tunnel and started the Lake Trail portion of the race. At this point I was running alone without anyone really near me. I would occasionally pass other runners and sometimes other runners would pass me, but no one was with me consistently. The Lake Trail was short and took us out into a field, where you could see the finish line. I said to some other runners that I was passing, "that is so cruel". The guy said, "well they don't call us Fools for nothing". After that I made my way into the Salt Run Trail, the final portion of the race. In the morning we had been warned about this trail being icy, but so many runners had already gone through (and it was warming up) that the ice had melted. Instead I found mud. So much mud that it was impossible to run up some of the hills because I was sliding too much. There were also more of my friends: the stairs. I said to some runners who were passing me that I had originally thought the 50K would be fun, but that I'm not sure my legs would make it down the stairs on a second loop. I don't think I have ever dealt with that many stairs on a trail run! Due to the stairs, mud and some hills this part of the race was slower for me. I just kept running when I could, luckily there was a big portion that was runnable, and hiked up the parts that I couldn't as fast as I could. Finally, I saw a sign that said 3/4 mile to the Lake Trail and I knew I was almost done. 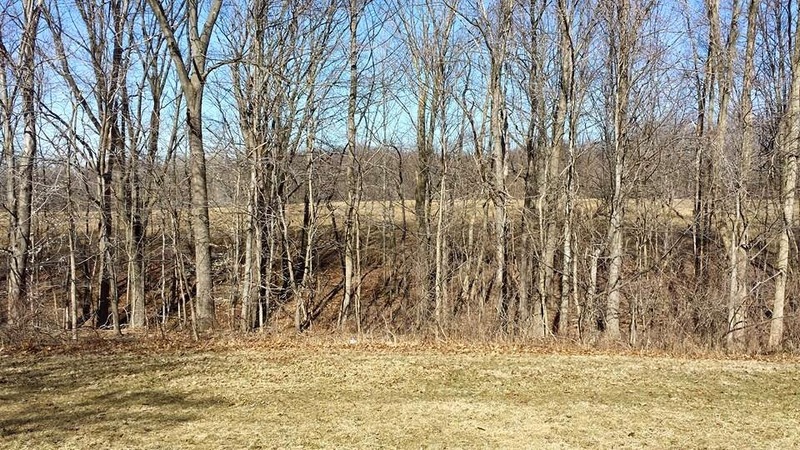 After running up a hill and out of the woods, I saw a grassy hill that we had to run up. I probably could have if it wasn't muddy, but I was slipping so much that I had to walk. When I made it to the top of the hill, I could see the finish line and then I saw Mike on the sidelines. He told me to finish the race and I crossed the finish line 3 hours 12 minutes and 47 seconds after we had started. Since we have never officially raced a 25K that's an automatic PR! Mike finished the race in 2:41:53, he did great! We hung around the finish area for a little while and then we changed our clothes. We, of course, stopped at Melt before driving the rest of the way home. Overall, I am really happy with how this race went and I would love to do it again sometime! I am hopeful that this put me in the right direction for the rest of my 50K training. Lately, I have been experiencing a lot of anxiety whenever I have to go out and run (it doesn't happen with cycling and swimming). You would think that someone who has done an Ironman, four marathons and numerous half marathons would not freak out about a 5-6 mile run, something that I have done too many times to count, but I am. I don't even remember what my first 5 mile run was like. I'm sure that I was ecstatic, because it would have been a new PDR, but what other emotions did I experience? Fear, anxiety, elation, frustration, doubt? I don't know. 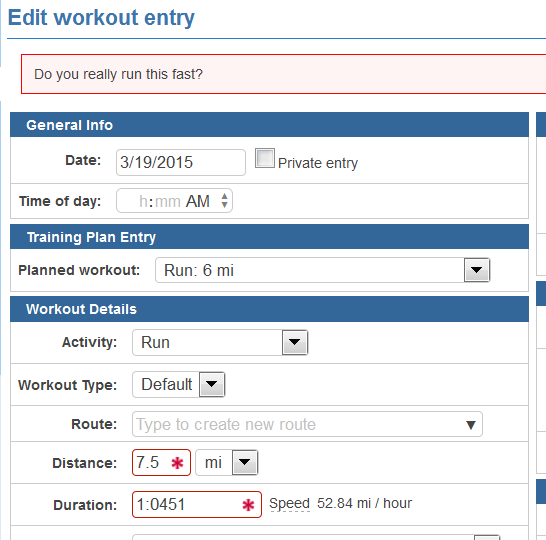 As a semi-experienced runner, I should not feel like I cannot do a 5 mile run or that I am going to completely fail while out there. I think part of my anxiety comes from the fact that this training cycle is not going the way that I envisioned, but then again what training plan of ours has gone exactly 100% according to plan? Even back in 2011 when we started this journey of ours using the Couch-to-5K program we had one failed workout and we had to repeat it. Ironically, as I train for my first 50K, it was one of the last workouts of the program (where you run for 30 minutes straight) and we decided to do it on some trails. That didn't go well and we stopped early before the 30 minutes were up and then we repeated the workout the next day. 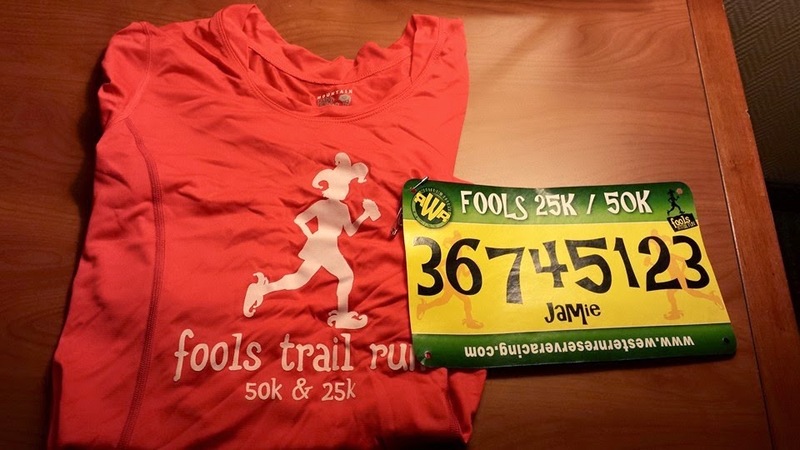 We had already run our 5K, the way it worked out our race ended up happening the weekend before we finished the C25K program, so really our "failed" run wasn't a big deal. As I think about it, all of the times we have "failed" at completing something on our training plan it hasn't been the end of the world. Sure, sometimes races haven't gone the way we wanted but that's what makes us stronger. All the times we have sat on the side of the road too tired to keep going, or when we got stuck in a lightning storm while cycling and I stood on the side of the road screaming for someone to pick us up, or when Mike crashed, flipped over his handlebars and fractured his mandible. The times when the waves were too strong, even for experienced swimmers, and I stopped us short, or when it seemed like Mike would NEVER get through a ride without getting a flat, or when we've had to call people to come pick us up, or when I have gotten injured, or when I wrote down the directions wrong for a run and we had to walk 5.5 miles back to the car two weeks before our Ironman. To the missed, cut short or rearranged workouts, all of these things and more, have made me who I am. 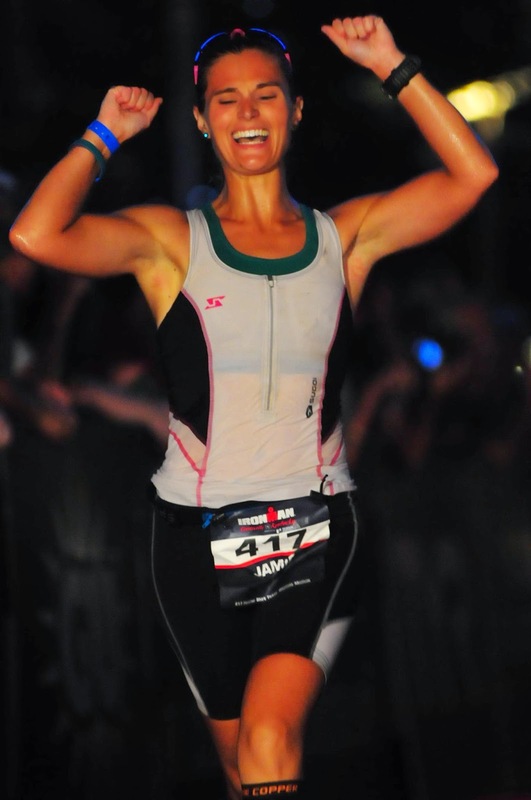 I am an Ironman, marathoner, badass triathlete, and hopefully I can add ultramarathoner to my profile soon. This. This is why I do it. And if not, I won't give up until I can. I officially started training for my 50K back on January 12th (really the 13th because Monday is always an off day) and I am currently on my 10th week of training for Pineland Farms. That means that I only have 9 weeks to go until race day! As far as training is concerned, it has felt a lot more haphazard than normal. And, I don't like that. This winter was (and still is, even though it's technically spring now) a bit rough. There were so many times that I couldn't get the distance that I wanted and there were a few weeks when almost all of my runs were done on the indoor track. It is nice that I have that as an option, but it definitely does not match the conditions of my race. Luckily, most of this is gone now. So much snow this year! Mike and I are also almost one month into training for the first of two 70.3s that we will be doing this summer. I feel guilty when I can't get in all of the swimming and cycling workouts that I have planned every week. I have felt pretty tired and defeated some weeks, and I often questioned whether I should even be trying to do this 50K or not. Luckily, I am feeling a bit better with how my training is going. Last week, I was able to get all of my planned runs done and ran a little over 39 miles. I also swam once (missed one swim workout) and biked three times (but did less mileage). I had a total of 92ish miles for the week, a number I haven't seen in months. While part of me knows that I am strong enough to finish anything that I put my mind to, I am looking forward to when I am training more consistently. This week, I took an extra unplanned off day because my legs were really sore from my long runs last weekend. Since I am injury-prone, I don't want to do anything that will jeopardize my entire racing season. I guess I am figuring out a balance. Didn't you know I'm the Flash? Next weekend should be a good test on how I am doing. Mike and I (and our friend, Greg) have a race next Sunday. It is a 25K on trails, hopefully without snow on them, and I am going to use it to gauge how training is going. Then the following week, I will be running the furthest I have ever run in my life - 27-28 miles (depending on exact distances). 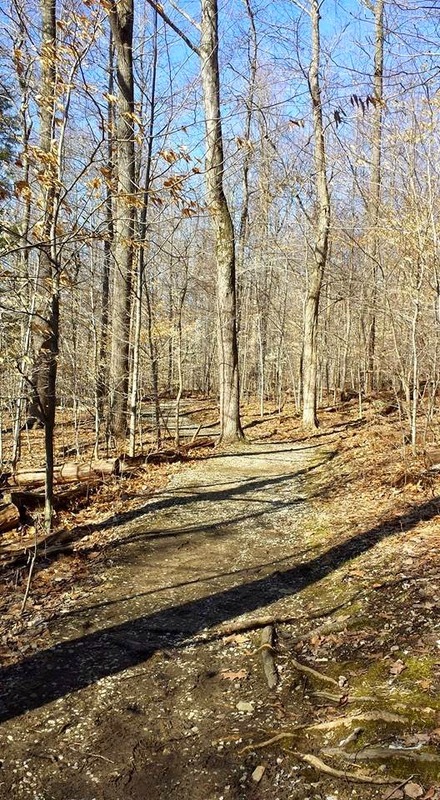 I'll be running the entire length (out and back) of the Seneca Trail. Luckily, friends and Mike will be joining me for part of the run so I won't be doing it all alone! 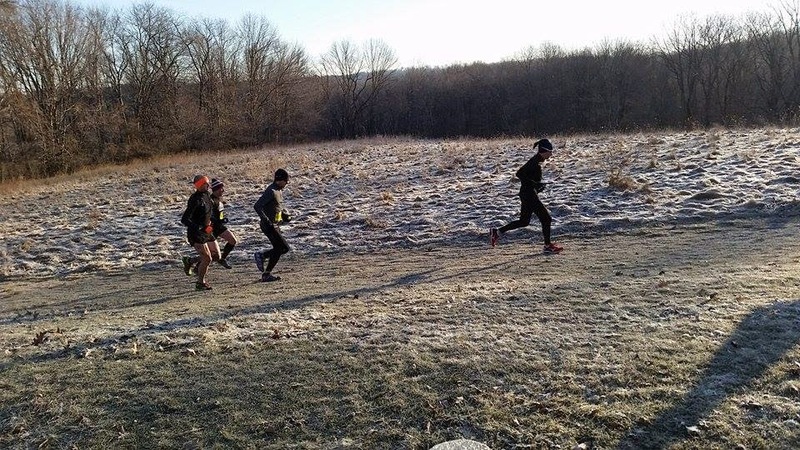 Overall, while I am not 100% pleased with how training is going, I know that I am capable of anything that I put my mind to and that I WILL have an amazing 50K victory lap in May. Mike and I are messy people. As a type-A person, this bothers me a lot. However, I am "organized" in a messy-fashion and can find anything that I need to find with relative ease (except for Mike's birth certificate and social security card that we JUST found after being lost for almost 4 years, whoops). I found this "40 bags in 40 days" challenge for Lent and I was intrigued. I don't celebrate Lent, but I do have a yearly goal to get rid of 10 things in our house (by either throwing away, donating or selling) that we no longer use. I also have this grand idea of deep cleaning our house and getting rid of everything that we don't need anymore. The first thing I did was go through a lot of magazines and recycle them. 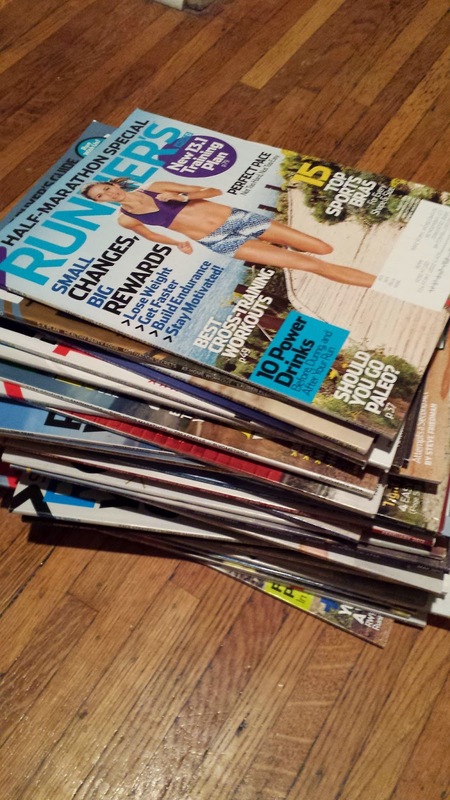 I don't need years of Runner's World magazines (though, I should have gone through them to take out any workouts or recipes that I might use in the future, oh well). 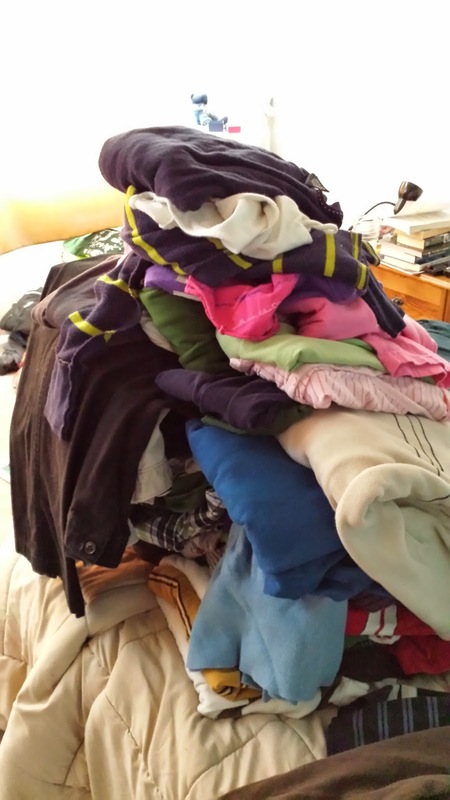 This morning, Mike and I went through some of our clothes and got rid of one small bag of stuff that we threw away and three big bags of clothes that we are going to donate. We both need to buy a few new items of clothing (especially considering I haven't bought any "real" clothes in a few years), but we won't completely replace everything that we are purging. My goal over the next few months (because, let's be realistic, with training, work and life in general this is going to take awhile), is to go through every room/space in our house and get rid of what we don't need anymore and organize what we do want. I am often embarrassed of our house. Granted, this is a "starter" house that we have been living in for almost 6 years now. I don't want to be here for 10 years. A new opportunity in our life will make it a lot easier for us to buy our "forever" home in the next few years, which is a good thing. Even still, I would like to be able to have our friends and family over without feeling like we are being judged for how we live. Will we ever be extremely neat people? Probably not. But, when I envision how I would like my house to look, I think of my parents' house. My mom doesn't do clutter. Everything has a purpose and is put away in an organized-fashion. I am an endurance athlete, through and through. I truly do not like the 5K distance, mainly because it hurts but also because I usually need a few miles to get into my groove. I thought about "retiring" from the 5K distance, but we have a race that we do every year that I actually enjoy. 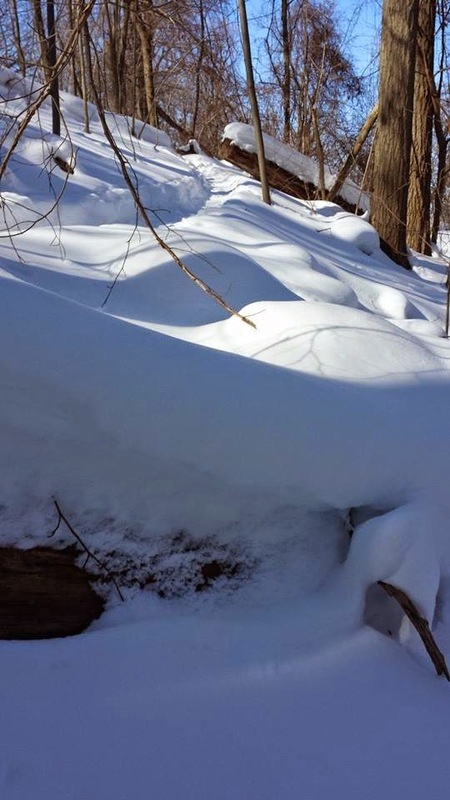 I have this feeling that I am going to love running my 50K (as long as there isn't snow on the ground, of course). Yes, it will hurt. Yes, I will probably swear to (not AT) Isaac (who is pacing me). But I know me, and I know when I cross the finish line I am going to want more. It may be another 50K or it may be that potential 50 miler I am thinking about doing in November. So as much fun as training for a few 70.3s and doing SOS Triathlon is going to be this year, I am already thinking about which "Ironman" we are going to do in 2016. 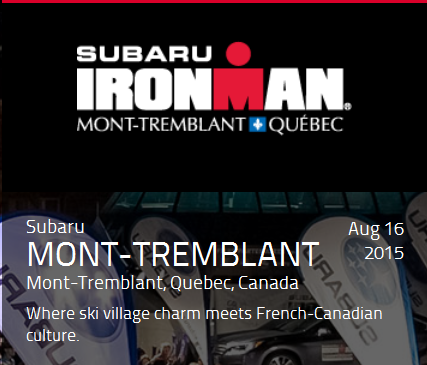 While this race isn't an Ironman event, I believe that Challenge provides almost the same, if not the same, amount of support at their events for a third or half of the cost of an Ironman event. Another bonus is that our friend, Eric, may do this race with us as well! The one con with this race is its timing. Fall isn't the best time for me to miss a few days of work, but I would figure something out! This is a new race this year, but the distance from our house is driveable and it looks like the location is really pretty. 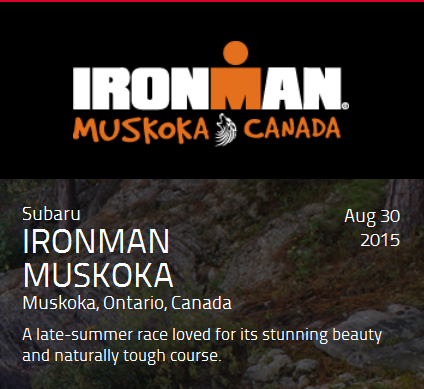 It is a "tough" course, but what Ironman isn't tough? We've done tough before and we can do it again! Other than it being more expensive, the only other con for this race is again the date for me because of my work schedule. 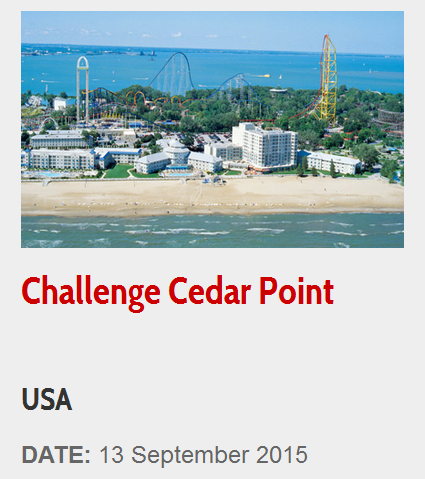 We are going to spectate this race this year, so after seeing it in action we may just want to take the plunge and do this race! Again, it isn't too far of a drive for us and the location is really pretty. Also, of the three this one's date works the best for me and work. So there you have it, those are the three top contenders right now. I may completely change my mind though, who knows!